Perhaps, you have heard so many great things about essential oils and how helpful they can be to our health and even to our homes. But what exactly is an essential oil? 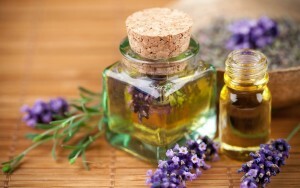 Essential oil is a type of natural oil obtained by distillation that has the unique fragrance of the plant where it came from. In short, it is the essence of a plant. What are its uses? There is actually an endless list of uses for this substance. From being a home cleaning agent to a medicinal healing product, these versatile essential oils are an all-natural solution for many things. To give you better ideas when and how to use it, here’s a list of our favourite ways to use these wonder liquids. One of the most popular ways to use an essential oil is to mix them with salt or emulsifier like sesame oil or milk to make a good aromatic bath. Bath salt disperses your choice of oil safely into the water, and sesame oil and milk emulsify the oil so it disperses easily. Without salt or an emulsifier, the oil will just float and won’t mix with the water. Aromatic baths are much needed essential oils for home in Singapore and highly recommended for people with circulatory problems, skin problems, menstrual pain, nervous tension, muscular pain, and insomnia. However, keep in mind that excessive exposure to oils in the bath can cause skin irritation. Use only mild oils, like clary sage oil and lavender oil for long, relaxing baths. Do you have one of those plug-in air fresheners? Once you run out of its fragrance, refill them with natural essential oil. Carefully remove the wick with a knife, and then fill the first half of the container with your favourite oil scent and another half with filtered water. Shake well to mix the water and oil before replacing the wick and plugging it into a power source. Using essential oil as an alternative to air fresheners is not just a thrifty solution, but also a healthier, natural alternative to the artificial ingredients that come with standard air fresheners. Some of the best oils to use for this are peppermint, cinnamon, lemon, and orange. You can also try mixing the oils. Try vanilla and lemon or orange and cinnamon for a unique twist for your home’s scent. Clear up your skin before breakouts start with the help of essential oils. Singapore dermatologists suggest making a natural antibacterial and acne-fighting blend with tea tree oil, lavender oil, and aloe vera gel. 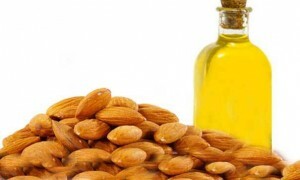 Also, oils are effective treatment for age-proofing the skin. Help prevent skin damage by slathering your face with a blend of antioxidant-rich natural oils. Rose, myrrah, and lavender oils penetrate deeply into the skin and fight free radicals that cause the early appearance of wrinkles and other signs of aging. For best results, Singapore skincare experts recommend moisturizing everyday with facial cream blended with any of those oils. Massage is another popular way to enjoy therapeutic oils. Not only you benefit from its healing properties, but you also take advantage of the relaxing effect of the massage itself. The essential oils’ therapeutic action, when brought together with the invigorating effects if massage, will stimulate all your body organs, muscles, glands, and nerves. The increased blood circulation and lymph flow also aids with the elimination of toxins from the system. In making massage oil, you can pick up to five different oils and add five drops of it to your carrier base. 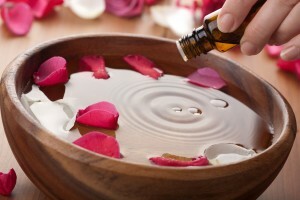 For more sensitive skin, add only three drops of essential oil to every 10ml of carrier base. Keep in mind though that this solution is only suitable for the body. Do not use this on the face as it is too concentrated and thus may cause irritation or inflammation to the skin. 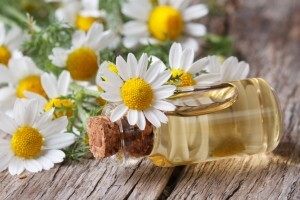 Among the best things about these oils are their tremendous versatility and aromatherapy qualities. An incredible amount of therapeutic properties is packed into each drop of these liquids, making them very easy to use on a daily basis to improve your health and well-being.